Amazon has ratcheted up the pressure on counterfeiters taking advantage of its online marketplace after filing a series of lawsuits against a number of alleged sellers of fake Vera Bradley handbags and OtterBox phone cases. The four suits, three of which are filed along with Vera Bradley, allege that the defendants sold products bearing counterfeit trademarks and that infringed copyrighted designs, as well as breaching Amazon’s business rules including its anti-counterfeiting policy. The legal action was deemed necessary based on concerns the defendants would attempt to create new seller identities. The companies are seeking various forms of damages and equitable relief, as well as an injunction on the sellers’ activities. According to court documents the defendants are alleged to have “acted with wilful blindness to, or in reckless disregard of” the companies’ trademarks and intellectual property. In one of the Vera Bradley suits, it claims that US Customs and Border Protection seized two imported shipments in Houston, Texas, which contained more than 330 fake Vera Bradley products. A third shipment with 135 fake products was also seized. The shipments, which originated from Hong Kong, were destined for the business address of one of the defendants. In another case, CBP seized four shipments from China that arrived in Chicago, Illinois, which contained three dozen fake Vera Bradley backpacks, handbags and purses. In the third Vera Bradley case, the lawsuit followed the seizure of a number of shipments from Hong Kong and China that contained a variety of fake Vera Bradley products. The fashion brand also conducted several test purchases from one of the defendants’ seller accounts and determined the products were fake. The court documents note that Vera Bradley advised Amazon that fake goods were being sold online, forcing the e-commerce giant to investigate the claims including contacting the sellers, who were found to give false representations. The firm also seized a handbag that had been shipped to a Fulfilment by Amazon centre and conducted several test purchases from other defendants’ seller accounts. The products were all deemed to be a counterfeit. In the OtterBox case, the lawsuit arose after OtterBox made a test purchase of an iPhone case from the defendants’ account and found it to be counterfeit. The Amazon account was blocked as well as other accounts operated by the defendant. 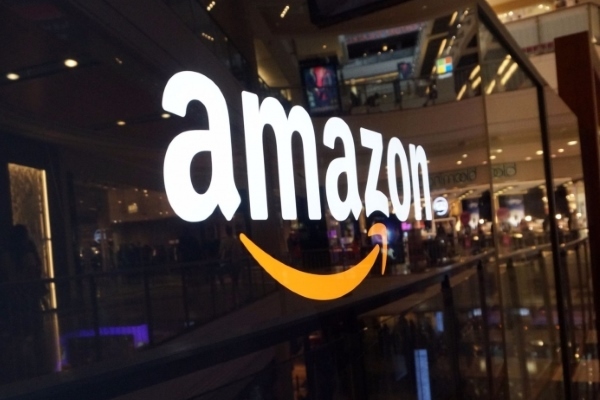 The legal action comes just days after electronic accessories manufacturer Elevation Lab slammed Amazon in a blog post for being “complicit with counterfeiting”. According to the post, the firm’s product, The Anchor, an under-desk headphone mount, was being hijacked on the marketplace by counterfeits. Instead, Hopkins apportions blame to Amazon, stating that its policies promote the sale of counterfeits and that it could take some simple actions to change this but it chooses not to. “Why Amazon doesn’t do this is mind-blowing and makes them complicit in the rampant counterfeiting on their platform,” Hopkins said.